It simply makes good business sense to do things the right way. We believe that it shouldn’t cost homeowners and business owners more to do things that are better for the earth. 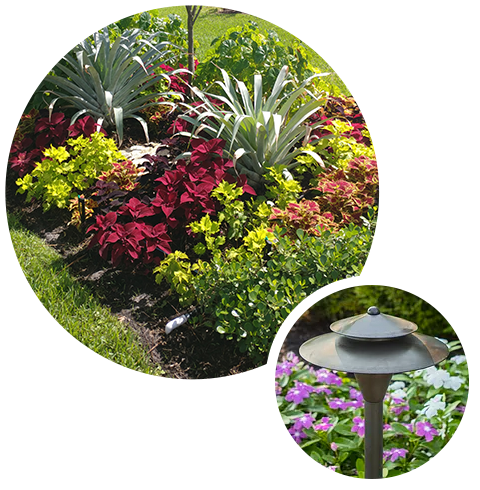 Our proven approach and experience delivers the finest quality landscapes in very cost effective ways while improving the environmental health of the landscape. Organic Solutions offers custom landscape & hardscape design and installation, fertilization and irrigation installation and management, outdoor lighting and audio to homes and businesses in Sewall’s Point, Hutchinson Island, Sailfish Point, Palm City, Stuart, Port St. Lucie, Vero Beach, Jensen Beach, and surrounding areas.